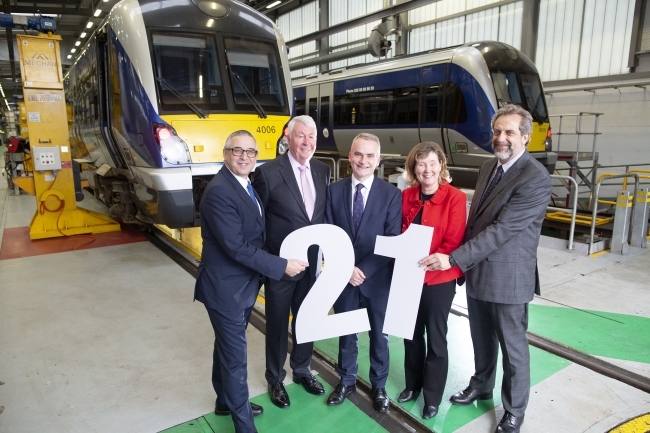 Translink and CAF have signed a £50m contract option to supply 21 new intermediate train carriages for N I Railways. The carriages are scheduled for delivery during 2021 and all will be in service by Autumn 2022 following a period of testing and commissioning. The new carriages will create around 1,400 additional seats to increase capacity for the growing number of train passengers using the Northern Ireland Railways service. Fully compatible with the existing CAF-built Class 4000 fleet, they will enable Translink to operate more six vehicle trains on busy routes at key times of the day. Richard Garner, CAF UK Director, said: “We are delighted to have secured this new contract with Translink. It is the third contract CAF has been awarded by the operator and we are very much looking forward to working with them. 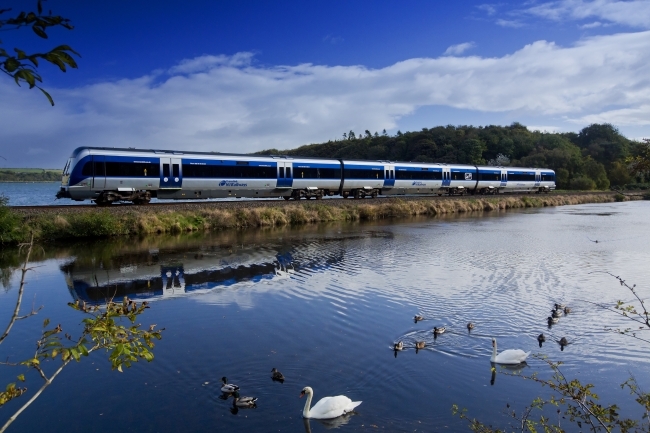 Chris Conway, Group Chief Executive for Translink, added “This is great news and another very exciting step in the development of Northern Ireland’s rail network. Passenger numbers have grown by more than 130% in the last 12 years, reaching 15m last year, the highest in Northern Ireland Railways’ 50-year history. This has followed the introduction of new rail fleet, infrastructure investment and service and timetable enhancements alongside a continued focus on improving the overall customer experience. “We are pleased to once again work in partnership with international market leaders CAF after exercising an option within the original Class 4000 train procurement contract to purchase additional intermediate carriages. They will meet the very latest standards in comfort and quality and be compatible with our current fleet”. The new contract continues CAF’s long and successful working relationship with Translink N I Railways. CAF previously supplied 23 Class 3000 diesel multiple units (DMUs), which entered service between 2004 and 2005, and an additional 20 Class 4000 DMUs, operational from September 2011.